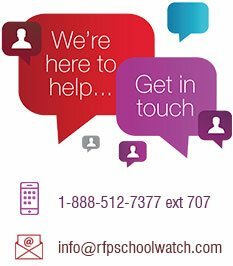 New cost saving, time saving, RFP/Bid submission service from RFPSchoolWatchTM in partnership with Federal Express: RFP-ExpressTM Services. RFP-ExpressTM Services is a print and shipping service for RFP/Bid submissions through Federal Express local print centers (1,800 offices nationwide) nearest to the RFX/Bid Sponsor. Save on printing, copying, and shipping costs through FedEx volume discounts as a customer of RFPSchoolWatchTM. Just sent us one (1) completed RFP/Bid copy in PDF or WORD format, and we take care of printing, copying, binding, and shipping/delivery of the duplicated copies required to the sponsoring school. Track the progress of the RFP/Bid submission through the RFP-ExpressTM tracking portal. If the sponsoring RFP/Bid school is within 30 miles of the FedEx print-center, delivery is free. This service will save you substantial time and money on RFP/Bid submissions.